Before you read a text about a surprise at Christmas, read the following comprehension questions. 4. Why do you think the loved his present so much? I was often sent to bed long before I felt sleepy. This was always annoying, but never more so than at Christmas time, when the buzz and excitement of the festive season was at its height. I spied on my parents from the top of the stairs where, if I was quiet and looked down at the right angle, I could see into a small part of the living room and sometimes hear my parents talking above the noise of the TV. One year, a few days before Christmas, something was wrong. The door to the living room was kept closed and there was more movement than usual coming from inside, mostly from my dad. I tried to see through the frosted glass of the living-room door, but it was no good. All I could see were blurred images and I could hear only muffled sounds. I went to bed. Tossing and turning in frustration, wondering what the hell was going on down there. This went on for the next four or five days. What were they doing? On the 23rd December I finally got the break I’d been hoping for. Mum went into the kitchen to make tea and left the living-room door slightly open. From my secret spot on the stairs I peered into the room and saw my dad working on something on his hands and knees. Some of his tools were spread over the floor and in front of him I could just see something brown. It seemed to be made of wood. I tried to see more, but mum came back and closed the door firmly. She hadn’t seen me, but I still had no idea what was keeping dad so busy and why it was such a secret. Was it something for me? Christmas morning came and with an excitement I hadn’t known before I ran downstairs to open my presents. I saved the biggest present for last and as I tore off the paper I realised what my dad had been working on for the last two weeks. 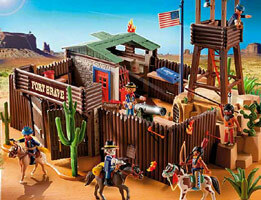 He’d made me a wooden fort for my cowboy and Indian models. I had never seen anything so beautiful. What a surprise! Now match the following words from the text with their Spanish translations. Read the story below about a footballer and put the paragraphs into the correct order. a) His love life also 1) , none more so then when he married ex-model Samantha Pry. She encouraged him to 2) business and together they launched the fashion chain ‘Hearts’. It was not the success they had hoped for and while 3) in the first year, sales fell drastically and the business 4) two years later. won them the League cup. becoming a successful footballer was just a dream. His mother wanted him to go to university, get a degree, and stop 7) . His father wanted him to follow his dreams and believed his son would one day be successful. d) Not a man to be easily defeated, however, he spent his last £200 at the casino and 8) at the card table. A millionaire for the second time, “and a much wiser man” he adds, he bought his beloved Scarborough football team and is now slowly bringing them back to the top of the league table. e) The failed business venture took its toil on their marriage and bouts of depression finally caused him to retire from the game and spend too much time with drink and drugs. Investments made whilst trading as ‘Hearts’ were declared illegal and James was 9) . He continues to insist on his innocence. Guilty or not, his previously healthy bank balance was now 10) . Read the story again and use the following idioms (from the previous "cuaderno") to complete the gaps. You may have to change the form of some of the idioms.